In recent years, a “Charlotte Mason awakening” has been taking place in the United States, among homeschooling parents, post-homeschoolers, and other people interested in discussing what this educational philosophy has to do with the rest of life. I heard from people who were forming learning communities, hosting retreats and starting schools. Some of this energy found its way north of the border, and an enthusiastic crowd met in 2013 at L’Harmas, one of the first Charlotte Mason retreats in Ontario that I can remember. That same autumn, Laurie Bestvater published her research on Charlotte Mason’s use of notebooks, The Living Page. A year later, Karen Glass published her first book, Consider This: Charlotte Mason and the Classical Tradition. As I followed the growth of Karen’s book, the idea of self-publishing didn’t seem quite as remote. ButI still didn’t know what kind of a book I could write. I thought it should have some Plutarch in it; something about stories and children’s books; maybe even something about food. (The original subtitle was going to be Charlotte Mason and a Slow Cooker.) But that still sounded too fragmented to make sense. Then I picked up a very old copy of Herbartian Psychology Applied to Education, by Sir John Adams. This was a book that Charlotte Mason referred to, and I thought it might help settle confusion about Mason’s “Herbart issues.” I didn’t really expect to be entertained by Adams (in spite of Mason’s reference to his “dry Scottish humour”), but it was a nice surprise. 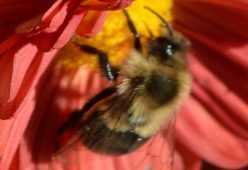 He rambled his way through the major Herbartian ideas; threw in Sherlock Holmes, Charles Dickens, and the results of a Robinson Crusoe map contest; and somehow tied the whole thing together with a few key points. If Sir John could write that kind of an introduction to someone as difficult and tedious as Herbart, maybe I could ramble through Charlotte Mason. With a few key points. How did Charlotte Mason’s approach to nature study, to teaching reading, even to mathematics, evolve from this idea of knowing a thing by seeing it? What is it that children need to be taught in order to grow into critical thinkers, problem solvers, decision makers? How do they develop the attentiveness to fix their minds on a problem, and the creativity to solve it? Suddenly what I knew about Mason’s philosophy took on a new focus. I started to write, and ended up with something that included Plutarch. And children’s books. And a slow cooker. Minds More Awake isn’t strictly a how-to. It’s not a scholarly work. But I hope it adds a bit to the conversation. “The book is deceptively simple. One minute you are reading about making chili in the crock pot, and the next moment you realize that the discussion has turned to integrating principles of education with a sharp focus on the key elements that will make those principle most effective. How did that happen? It is Anne’s gift—the gift of chatting comfortably and relating even hard-to-grasp principles to real-life situations that you will recognize.” “A Book Worth Reading,” by Karen Glass, author of Consider This: Charlotte Mason and the Classical Tradition. Full review here. 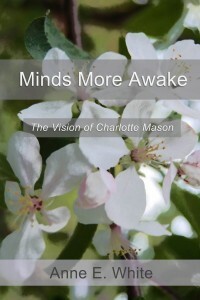 “In Minds More Awake, Anne White addresses such concerns from the thoughtful, biblical viewpoint of someone who has studied and used Charlotte Mason education for over two decades …and she does it without using the clichés one comes across so often. I was reassured. Best of all, I was inspired to think hopefully about homeschooling in difficult situations.” Annie Kate’s Homeschool Reviews. Full review here.